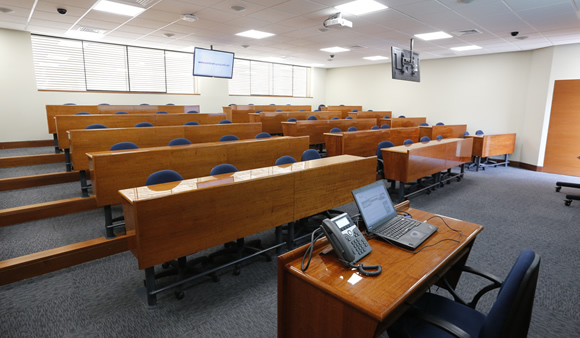 Our classrooms are spacious, with adequate lighting, air conditioning, ergonomic seats and a modern design for comfort during your classes. 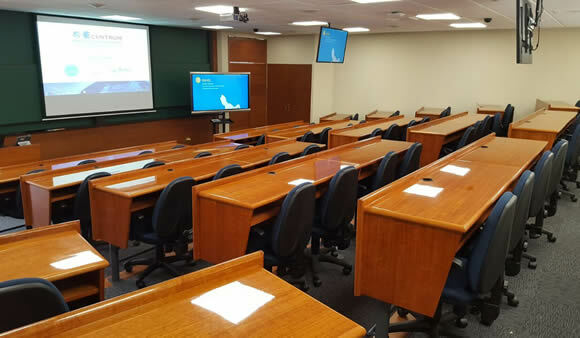 They are equipped with technological tools that facilitate the work of the professors, and they are interconnected to facilitate interaction and security. 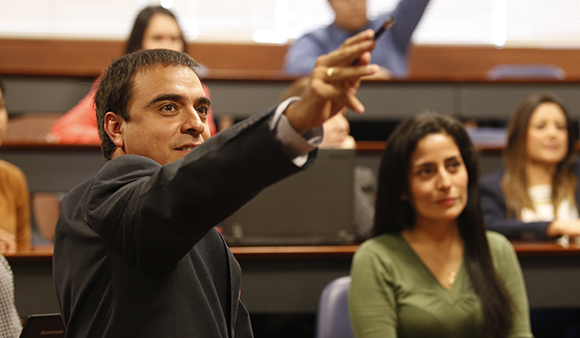 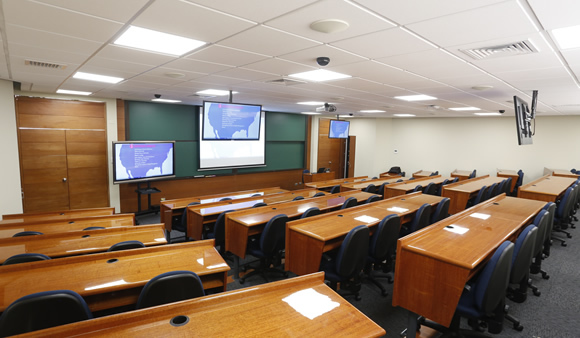 Our students have high-tech tools for fast and constant learning . 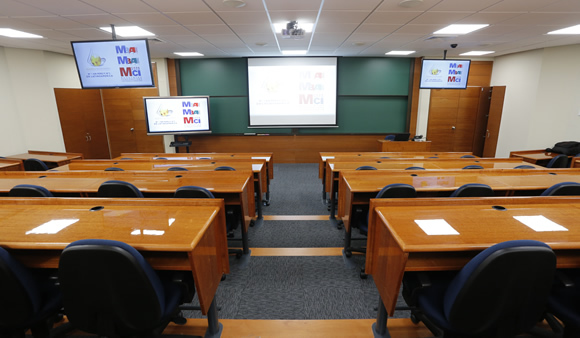 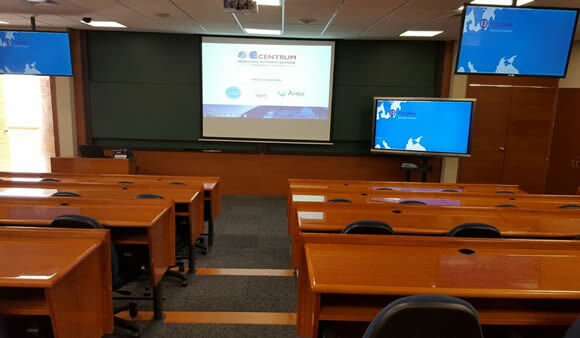 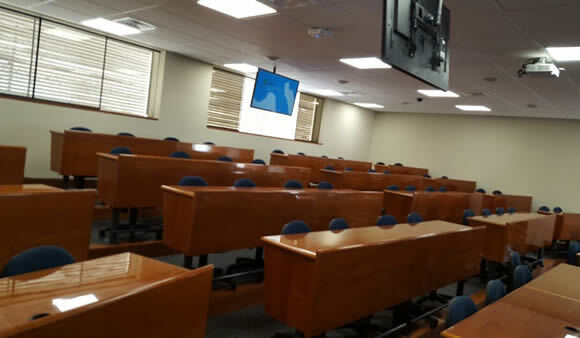 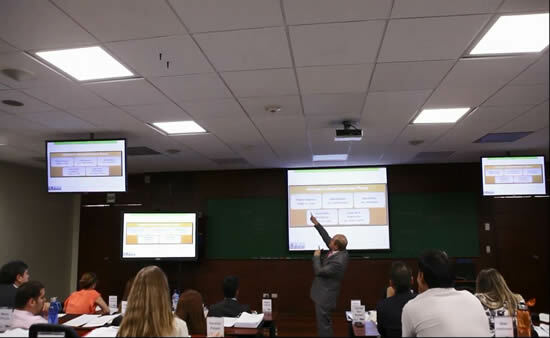 We have classrooms designed to offer the best experience to students, each classroom has been equipped with an interactive 65″screen and , except for the VIP class , are connected to 46″ repeaters for better visualization of the contents of the class. 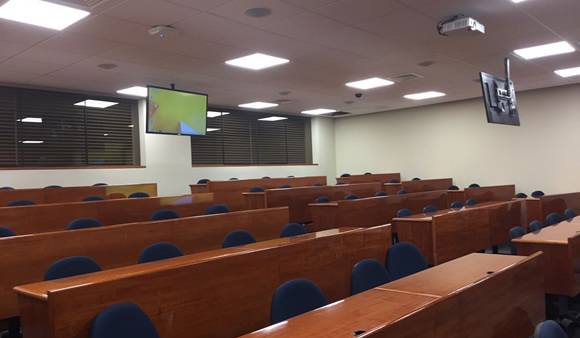 VIP classroom equipped with adaptable spaces, bathroom, kitchenette, etc.